Yen prices on Monday rose against its peers, touching a six-week peak versus the dollar, as fears in markets of a global economic concerns fuelled demand for the Japanese currency. 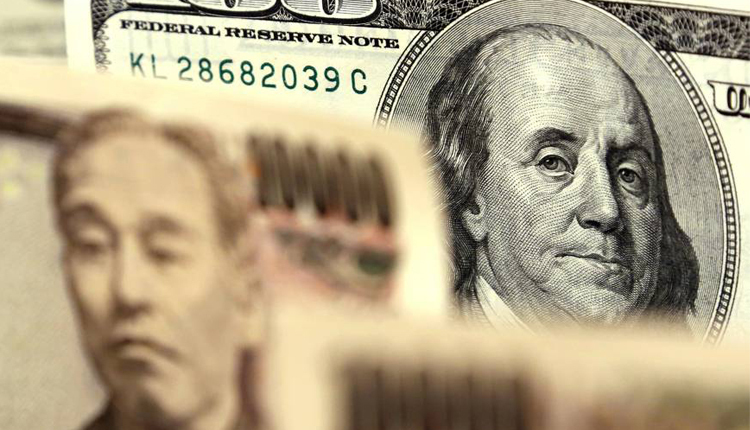 The yen, a perceived safe-haven which attracts demand times of market turmoil and political tensions, was 0.15 percent higher at 109.79 to the dollar after brushing 109.70, its strongest since Feb. 8. The Japanese currency rose 0.15 percent to 124.035 per euro and added 0.2 percent to 77.72 against the Australian dollar. Asian stocks retreated, tracking global peers, after weaker-than-expected U.S. and European manufacturing data on Friday intensified fears of a global economic slowdown. “Bad economic data should not come as a real surprise to the markets. But hopes for improvements in Sino-U.S. trade relationships had overshadowed economic woes, and now we are seeing some of the excessive expectations being curtailed,” said Koji Fukaya, president of FPG Securities in Tokyo. “The yen is gaining broadly, albeit by default, under such conditions.” The dollar had already taken a big hit against the yen on Friday when the spread between 3-month Treasury bills and 10-year note yields inverted for the first time since 2007 following weak U.S. manufacturing PMI data. Historically, an inverted yield curve has signalled an impending recession. A much weaker-than-expected German manufacturing survey released on Friday had also raised concerns for Europe’s biggest economy and the wider euro zone. The currency markets showed limited response to an official report that concluded that U.S. President Donald Trump did not collude with Russia during the presidential elections in 2016. Special Counsel Robert Mueller found no evidence of collusion between Trump’s campaign team and Russia, and did not present enough evidence to warrant charging the president with obstruction of justice, U.S. Attorney General William Barr said on Sunday. The dollar index was little changed at 96.623 after scraping out a gain of 0.15 percent on Friday. The euro was nearly flat at $1.1296. The common currency has lost roughly 0.7 percent on Friday in response to the downbeat German manufacturing survey. The Australian dollar, viewed as a liquid proxy for global growth, barely moved at $0.7077. The pound was 0.1 percent lower at $1.3199. Sterling had rallied 0.8 percent on Friday, helped by a weaker euro and after European Union leaders gave British Prime Minister Theresa May a two-week reprieve to decide how Britain will leave the European Union.